'Baby Dragon' Found In China Is The Newest Species Of Dinosaur : The Two-Way The Beibeilong was a giant, birdlike dinosaur that lived some 90 million years ago. Scientists say it had massive feathered wings and a birdlike skull and could grow to more than 26 feet long. In an artist's rendering, a gigantic, cassowarylike dinosaur named Beibeilong, which lived some 90 million years ago, incubates its eggs. Meet Beibeilong sinensis, the most recently identified dinosaur species. The name means "baby dragon from China." The dinosaur had massive feathered wings and a birdlike skull. It probably looked most like a cassowary, flightless birds slightly smaller than an ostrich. But the Beibeilong was much bigger than any currently living bird, according to a study published in Nature Communications. Based on comparisons with close relatives, the birdlike dinosaur probably weighed about 3 tons and could grow up to 26 feet long. In 1993, farmers in China found a Beibeilong embryo and eggs in Henan province. The fossils were sold to an American fossil company called The Stone Co. and brought to the United States. A model of an embryo curled inside an egg was famously featured on the May 1996 cover of National Geographic and was nicknamed "Baby Louie." But nobody knew what kind of dinosaur Baby Louie was. This image shows the curled embryo of a Beibeilong amid eggshells, which are dark gray in color. The eggs weighed about 11 pounds, making them some of the largest dinosaur eggs ever uncovered. Some people thought they might have come from a tyrannosaur. 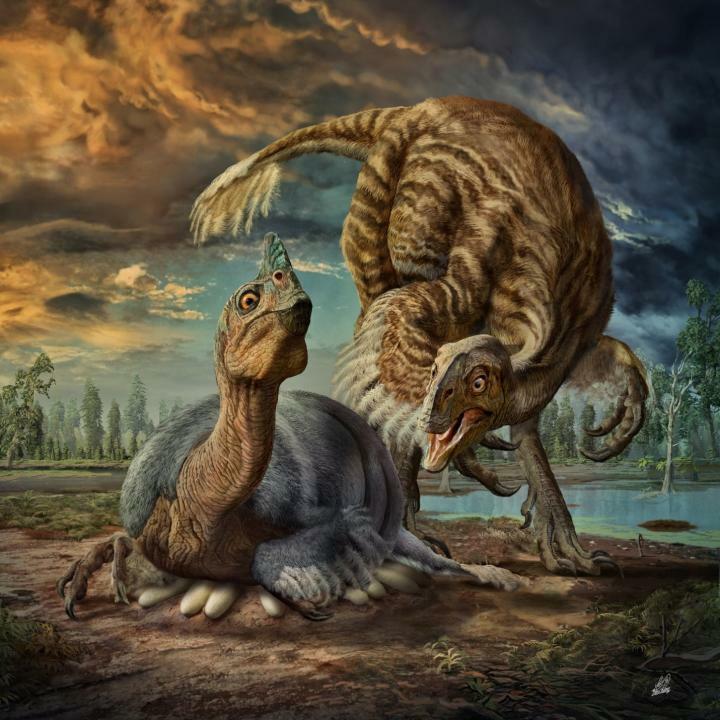 "The eggs looked very much like eggs that were known to belong to oviraptorosaurs," said Darla Zelenitsky, an assistant professor at the University of Calgary who studied the eggs firsthand in the 1990s. 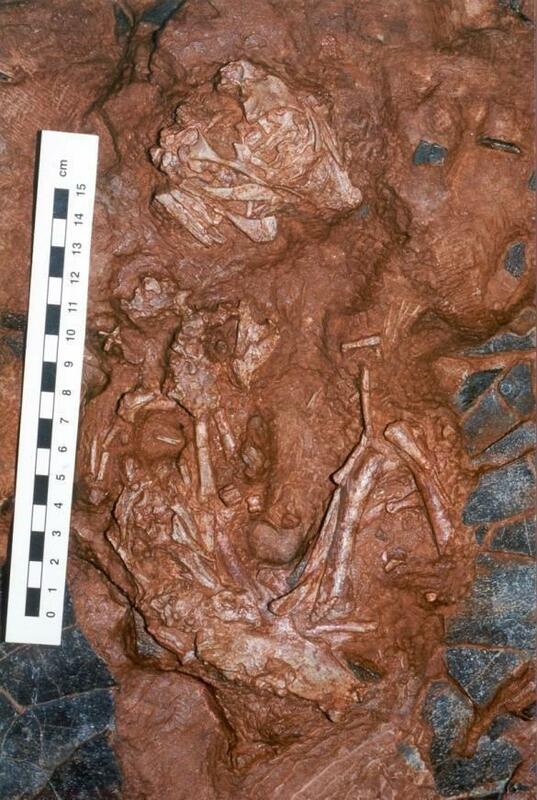 "But these eggs with the specimen were eight to 10 times the volume of other known eggs [of oviraptorosaurs]." In the 1990s, all of the known species of oviraptorosaur were small creatures. "There's no way they were laying a 4- to 5-kilogram egg," Zelenitsky says. Then, in 2007, scientists in China discovered the first species of giant oviraptorosaur. "So finally, after 12 years, there is a species of oviraptorosaur that could have laid these giant oviraptorosaurlike eggs," Zelenitsky says. Studying these dinosaurs is difficult because there are only three known sets of skeletal remains of giant oviraptorosaurs. So there's a lot more to learn about Beibeilong, but at least we know what "Baby Louie" really was.